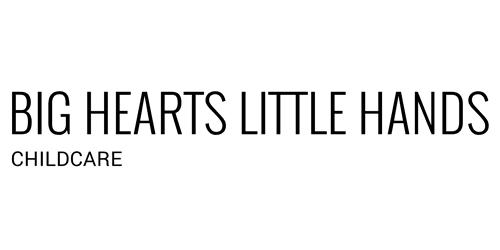 Big H Little H nursery provides a very soothing and nurturing environment. We maintain a small teacher to infant ratio in this class. Each infant is assigned to a primary caregiver so they can build a positive relationship, and to ensure each caregiver will be able to response to his or her individual needs. Our daily curriculum for our infants is full of sensory activities, toys, and books. The caregivers sing, talk, read stories, cuddle, and play games with our infants. We understand that each infant develops at his or her own pace; therefore we create individual lesson plans for every child. We believe parent involvement and communication is very important to the every child’s development, therefore we keep communication open. The caregiver will provide a daily report of the infant’s activities and any milestones that they have reached. We are also available to answer any question or discuss any concerns. report of the toddler’s activities and any milestones that they have reached. Big H Little H preschoolers' classroom is colorful and bright. In the preschooler’s class there is a structured daily schedule that is followed. We partner with parents and assist with potty training when the child is comfortable and able to express their needs. In this classroom the preschoolers are introduced to learning centers. The curriculum is theme based and consists of a balance of activities designed to meet each child's individual needs and foster physical, cognitive, social, and emotional development. Each child will have the opportunity to learn through continuous exploring and interacting with their environment. activities and meaningful play our teachers ensure every prekinder has a happy, age-appropriate, meaningful learning experience! Our facility offers the young children a stem lab. The stem lab gives our children an opportunity to learn about science and math in a whole new level. Every child gets to experience early stages of being critical thinkers, problem solvers, and risk takers. We make learning fun!